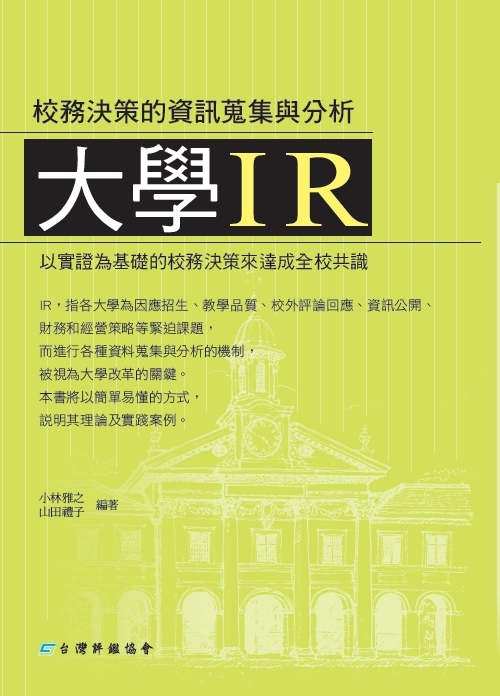 The book was co-written by Professor Kobayashi Masayuki of Japan's Tokyo University and Professor Yamada Reiko of Doshisha University and is considered a handbook for establishing IR. From this book, one would understand why universities need IR, and it would also assist schools to discover issues, draft out policies and resolve issues. Currently, IR at Taiwan's universities is still in the initial stage. TWAEA is hoping that with the translation of Japan's series on IR, Taiwan's schools would have the opportunity to learn about Japan's IR experience and extract its essence so that the schools' exploration time would be decreased.